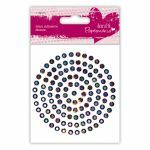 A selection of coloured crystal gems in various sizes. 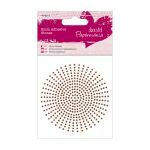 Each pack contains 424 self adhesive dots. 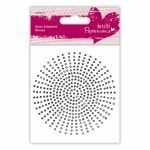 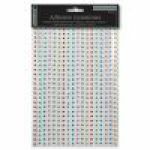 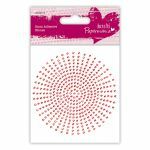 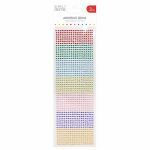 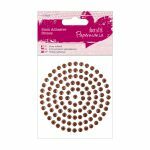 Each pack contains 206 self adhesive dots. 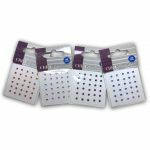 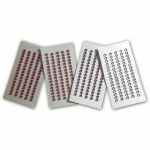 Each pack contains 117 self adhesive dots. 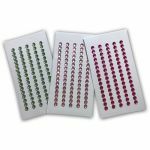 Self adhesive 3mm Crystal gems. 30 pieces per pack Available in Baby Pink, Purple, Pale Blue and Orange. 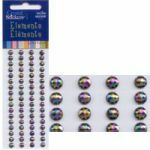 Self adhesive 5mm bubble gems. 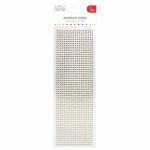 Each pack contains approximately 80 pieces. Each pack contains 1080 self adhesive gems. 3mm diameter - 7 different colours included.